President Obama spoke to BIG money LGBT donors at a Democratic National Committee gala in New York City on Tuesday night only one day after the White House announced that Obama plans to sign the executive order that would bar federal contractors from discriminating against LGBT workers and reminding the deep pocketed attendees of the accomplishments over the course of his administration and saying that much more needed to be done. Speaking onstage at Gotham Hall before an American flag, Obama received a prolonged standing ovation when he said he told his staff to prepare an executive order that would bar federal contractors from discriminating against LGBT workers. But Obama said efforts must continue to pass the Employment Non-Discrimination Act, legislation that would bar discrimination among public and private employers, not just federal contractors. The executive order he plans to sign doesn’t “reach everyone that needs to be reached,” Obama said. But many questions remain about the planned executive order, such as whether it’ll contain a religious exemption like the very broad and much criticized religious exemption crafted by Tico Almeida and Freedom to Work in the current version of ENDA that if passed, would write LGBT discrimination into law by allowing businesses and groups who claim they part of a religious movement the right to refuse to hire and terminate LGBT employees without any legal repercussions. In an interview with the Washington Blade Almeida took the opportunity to shill his dangerous version of ENDA. 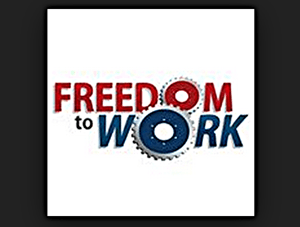 Almeida and Freedom to Work it seems is still pushing its dangerous version of ENDA of which Almeida admitted last year at Netroots Nation 2013 in San Jose that the very open religious exemption was specifically written “just to get ENDA passed’. Thankfully it has not but has instead drawn the ire and condemnation of many LGBT activists and organizations. Still many questions remain about the Presidents planned Executive Order, such as whether or not it will indeed contain its own religious exemption. Lets just hope that Tico Almeida and Freedom to Work isn’t one of the “advocates” or groups invited to attend.